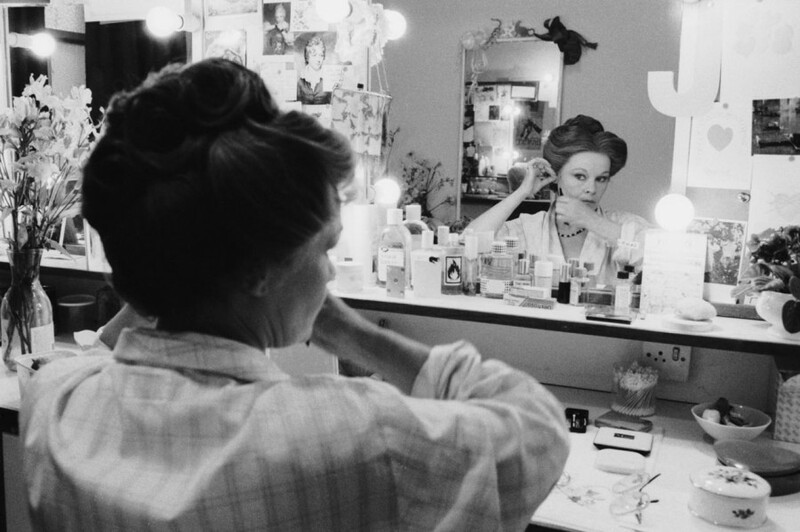 Gemma Levine took this backstage picture in 1985: Judi Dench was getting ready to perform as Amy O’Connell in the Royal Shakespeare Company production of Harley Granville-Barker’s Waste at the Lyric Theatre in London. On the shelf in front of her there are many bottles; among them, the unmistakable houndstooth pattern characterising Dior cologne and eau de toilette bottles. There’s no way to tell exactly what scent this was, but we know that this bottle was used for classic creations like Miss Dior, Diorama, Diorella, Diorling and Diorissimo. I can see her wearing the lily-of-the-valley triumph that is Diorissimo. What’s your guess?